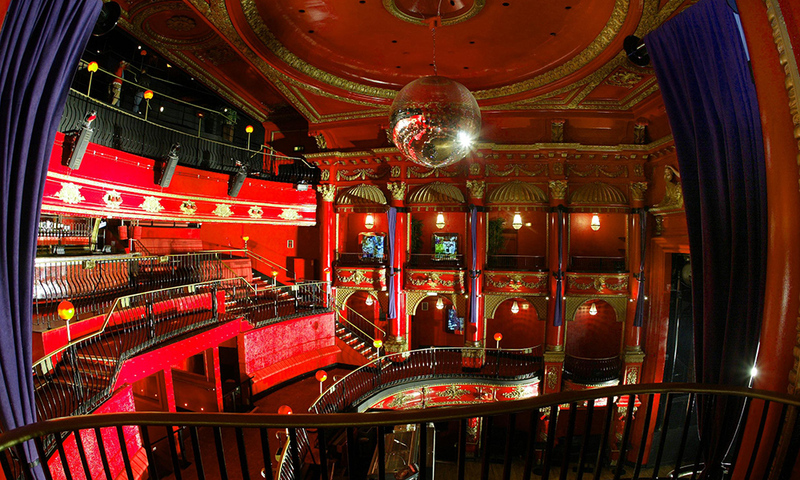 KOKO London is a versatile, state of the art venue. It started life as a Theatre and opened on Boxing Day 1900, it was subsequently a cinema, a BBC Theatre and now a Live Music venue. The capacity for a standing party is 1410, for a standing party with catering is 1200, for a seated dinner 200 and theatre style 300. It has a production office, 5 dressing rooms, green room, large stage, lighting and sound facilities, DJ decks, large projection screens. 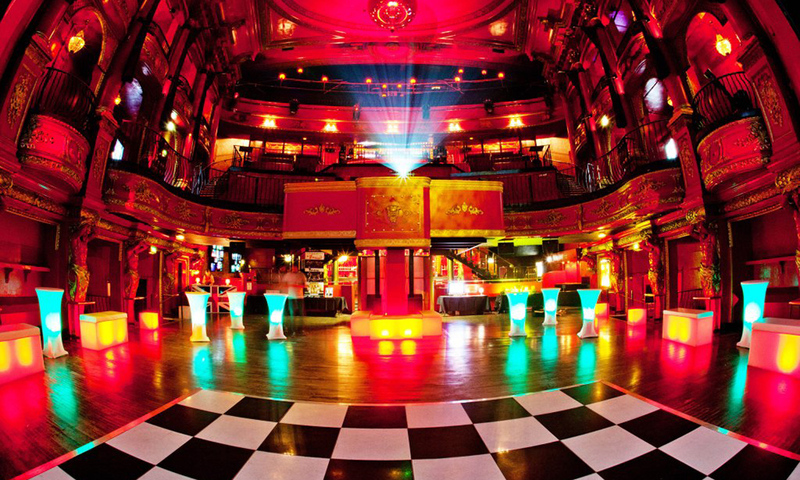 The venue is space over four floors and has 5 bars and an outside smoking terrace. It has a production office, 5 dressing rooms, green room, large stage, lighting and sound facilities, DJ decks, large projection screens. The venue is space over four floors and has 5 bars and an outside smoking terrace. 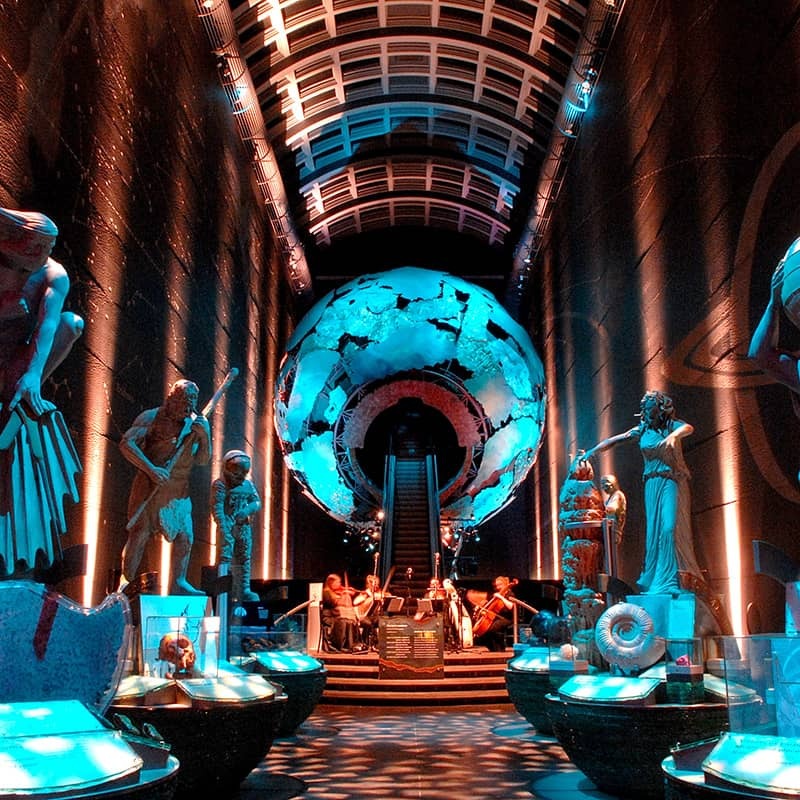 Great artists such as Charlie Chaplin, The Goons, The Rolling Stones, Madonna, Prince, Coldplay and many more have graced the stage over the years. The catering at your party will be delivered by award winning caterers. With years’ of experience in organising and catering for events, we have built an unrivalled reputation for the quality of food, creativity, originality and outstanding service. You have a number of choices for your Christmas Party. Bowl Food menus offer an informal catering option with lots of variety, without the queues of a traditional buffet. Two of the options listed (those likely to be popular) will be served from individual bowl food stations in addition to all options being circulated on trays. 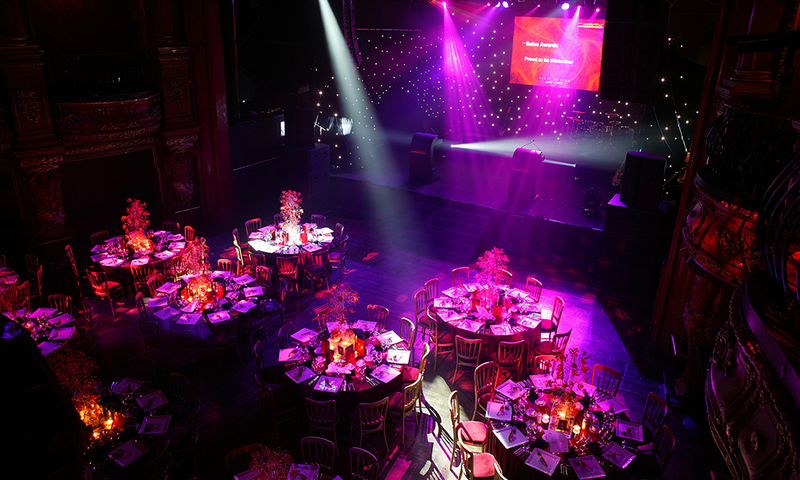 We also can offer occasional seating on 5ft round tables for approximately a third of your confirmed numbers. The Bowl Food menu start from six dishes, going up. We will advise you every step of the way and suggest an appropriate number of bowls compared to guest numbers. The not so tradition Christmas Fair as the caterers will design fabulous menus to meet your aspirations. We will work alongside you to ensure the catering at your party exceeds all your expectations. We will accommodate any dietary requirements that we are notified of in advance. All prices are per person. Dates are subject to availability at time of booking. Please enquire with two preferred dates. What's the minimum number of people I can book for? As we always seat groups on their own tables, the minimum number of people you can book for is 10. What size are the tables? We have several sizes of tables available from 10 to 13, please do call us if you wish to discuss arrangements for the number in your party. Please note the largest of our tables seats 13, and so any groups of 14 and above will be split between tables, although these will of course be next to each other. Please note that we are not unable to provide Kosher meals, however, you are welcome to arrange for the venue to receive a Kosher Meal on the day of your party and they will cook this in their ovens and serve (still in the tray) to your guests at their tables. There is no additional charge for this service; however neither does the guest receive any discount for not having one of our own meals. How and when do I pay for my party? The initial deposit is due upon booking The rest of the balance for your booking is due no later than 8 weeks before the date of the party. The balance of your booking can be paid on our website, by bank transfer, or debit / credit card. All details can be found on your booking confirmation email. How do I pre-order drinks? We have several drinks packages available, complete your drinks order form you received upon booking and pay for your whole package including your drinks on your final balance date. In addition to drinks packages, you can also pre-order wine and water by the bottle and individual drinks tokens. Should your group not wish to pre-order drinks, you can of course use cash and debit/credit cards to pay for drinks at the party. Please note that we cannot run bar tabs at any of our events, however should you wish to provide some drinks for your group you can pre-order drinks packages, wine by the bottle or drink tokens. All of our venues have a complimentary cloakroom for guests, please note that there is no charge and that all items are left at the owners risk. Yes, we have Multi-Thermostatic Heaters throughout the venue, including cloakrooms, reception areas and toilets -these are more than capable of making the marquee really toasty on even the coldest December night. 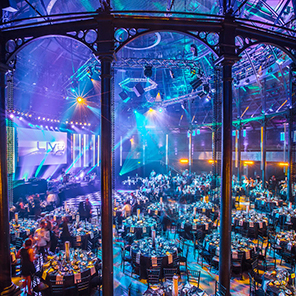 Each of the guests in your party will receive an E-ticket, which they can view on any mobile device or print it which details the venues locations as well as directions to the venue. What time do the parties start? The parties all open at 7pm, and so we recommend arriving at this time. Please note that our parties in Cardiff open at 6pm between Sunday and Thursday. How do I purchase chips for the casino? 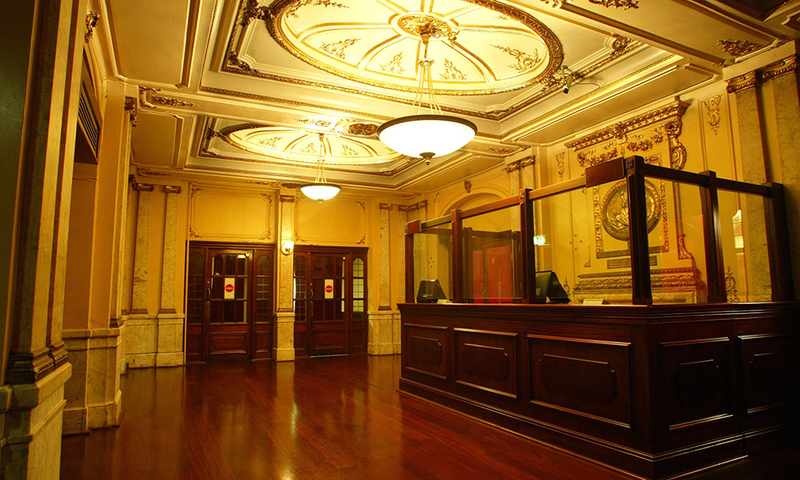 Some of our venues has a Charity Casino, which supports a nominated local charity each year. A member of our team will circulate during dinner giving you the option of purchasing a voucher which can be exchanged at the casino tables for chips. You can also purchase these from the bar following dinner. Please note that the profits from our casino is all donated to the local charity, and as such guests play to win prizes, there are no monetary prizes. Where is the tea, coffee and cheese served? The tea & coffee and cheese courses are served from 10pm from an ongoing station at the side of the dining room. This allows everyone to get up and dance, have a ride on the dodgems or try their hand at the casino. Those who wish to have cheese or tea & coffee to do so from the end of dinner service until 11pm. The DJ will announce where the station this on the evening, as well as when it is opening so please listen for this or ask a member of our team if you have any questions. Left over Drink Tokens can be refunded, but, they must reach us within 14 days of your party. Please do include your booking reference, as well as the name of your bank, your Sort Code and Account Number  as refunds will be processed via bank transfer by the end of January. Please note that dodgems tokens are non-refundable.